The Japanese government said Tuesday that it will extend a set of bilateral sanctions on North Korea for two years amid no substantive progress in denuclearization and efforts to resolve the issue of Japanese nationals abducted by the communist nation decades ago. 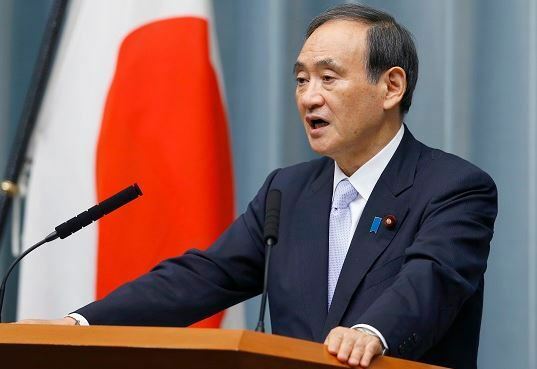 "Looking at various situations, (we) assessed what would be most effective," Chief Cabinet Secretary Yoshihide Suga said at a regular press briefing. Tokyo has imposed a ban on port calls by North Korean ships and foreign vessels that stopped over in the nuclear-armed nation since 2006. Three years later, it added a trade ban and expanded the scope of the ship-entry prohibition, as Pyongyang continued provocative acts. Japan's decision to maintain sanctions is viewed as reflecting its resolve to keep putting pressure on North Korea despite its recent goodwill gesture related to the human rights issue. In March, Japan skipped its annual submission to a United Nations panel of a joint resolution condemning North Korea's rights abuses.